Monday’s Cornell/Produce Business Foundational Excellence Program is a great way to meet newer members of the produce and floral industry as they participate in a one-day immersion to learn about the latest trends and issues affecting their careers. The New York Hilton Hotel will also hum with activity as exhibitors and Global Trade Symposium participants arrive for Tuesday’s booth set-up and programming. 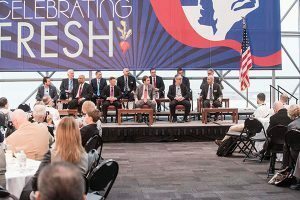 The Global Trade Symposium is a unique opportunity to network with global traders, marketing organizations and governmental agencies as they discuss the Future of Produce Importing and Exporting. In addition, exhibitors who set up their Trade Show booths will be treated to refreshments and networking at the Jacob Javits Center. Finally, one of the best industry networking opportunities of the year happens at the New York Hilton from 6pm – 8pm as attendees Celebrate Fresh at the Opening Cocktail Reception. Wednesday’s full load of networking activities begins with shuttle buses transporting attendees to the Jacob Javits Center for the Keynote Breakfast and Thought-Leader Panel as well as the ribbon-cutting ceremony and full day’s trade show and conference activities. Wednesday night is free for dinners and entertaining in New York City. 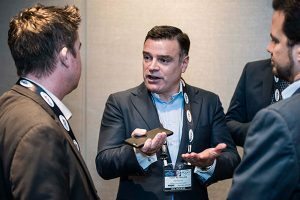 Thursday offers a choice of networking on any of our industry tours, departing from the New York Hilton, or during the IDEATION FRESH Foodservice Forum, which has unprecedented access to high-level foodservice industry associates. To maximize networking opportunities, we highly recommend you stay at the New York Hilton, the headquarters hotel and hotbed of official and unofficial social activities, where you will run into industry associates at every corner.